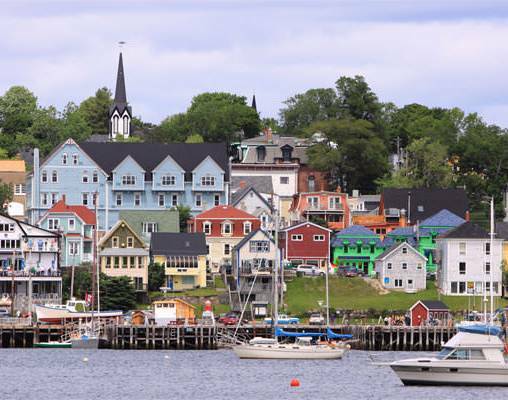 From the excitement and culture of Montreal to the scenic, easy-going nature of Nova Scotia’s seaside villages, Eastern Canada is full of contrasts. This tour offers an in-depth look at these distinctions through visits to landmark sites and diverse destinations, as well as through the best indicator of local culture: the food. Your journey begins as you arrive in the beautiful city of Montreal. You will have two full days to enjoy the lively city before you move into Canada’s Maritimes via overnight train, VIA Rail’s Ocean. Your first stop on the Eastern Seaboard is Halifax, and from here, you will continue at your own pace, as you connect destinations by rental car. 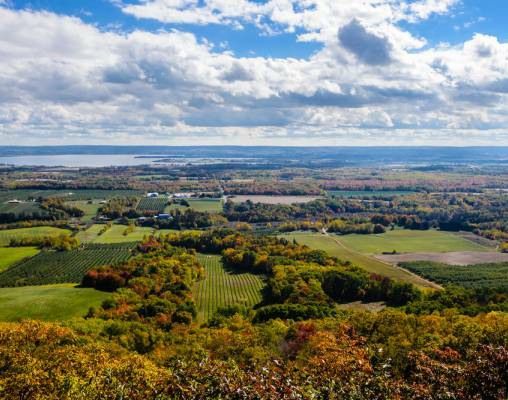 You will be enchanted by the beauty of the Annapolis Valley and the many sights and activities that surround the luxurious Fox Harb’r resort in Nova Scotia. 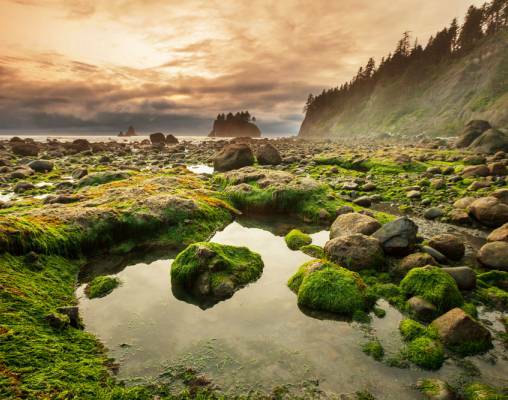 Additionally, you will have a chance to observe the highest tides in the world at the Bay of Fundy and enjoy the magnificent sights that come with traveling along the rocky coastline of the Bay. Come - the delights of Eastern Canada await. This itinerary is also available from Halifax to Montreal based on your travel preference. As you arrive in Montreal, a private car will take you from the airport to your centrally located hotel. The remainder of the day will be yours to begin your explorations of this diverse city. 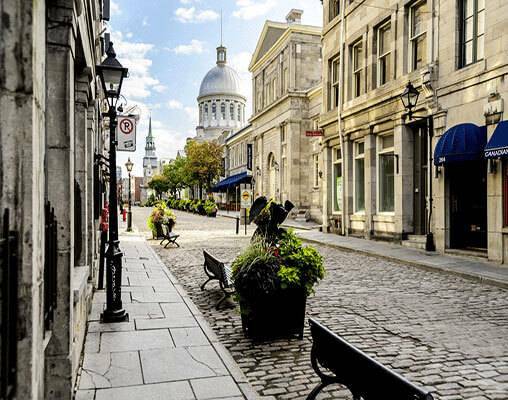 Perhaps check out the local dining scene or take a step back in time with a visit to Old Montreal. Overnight Montreal. Set your own pace this morning as you tour through Montreal independently. Make your way to some of the famed landmarks throughout the city, such as Olympic Park, or get in touch with nature by climbing Mount Royal. The options are as plentiful as they are diverse. This afternoon, get a better view of the city as you embark on a guided cruise along the St. Lawrence River. Your knowledgeable guide will provide interesting tidbits of information about Montreal while you cruise through the waters, looking over the city center and the surrounding attractions. Following the boat tour, the rest of the day is at leisure. Overnight Montreal. What better way to immerse yourself in a city than through its food? This morning you will do just that on your Flavours and Aromas of Old Montreal tour. Fitting for a tour through the most historic district in the city, this tour begins in front of the Notre-Dame Basilica. As your guide takes you on a leisurely stroll through Old Montreal, you will stop at four fantastic eateries for samplings of the local fare. You will learn more about the traditions of the area through the food you taste, and your guide will offer knowledge about both the cuisine and the locations you visit. The remainder of the afternoon is yours to continue your explorations of the city. Overnight Montreal. You will get an intimate look at Nova Scotia as you drive to Fox Harb’r luxury resort today. Pick up your rental car this morning, and begin your drive. The resort community is located just 90 minutes from Halifax, but there are many small towns and historic sites to visit along the way. Detouring south to Peggy’s Cove offers a look at one of the most charming seaside destinations in all the Maritime region. Moving north, there is an expansive wilderness preserve you can explore, as well as many interesting towns and quaint communities. As you arrive at Fox Harb’r in Wallace, Nova Scotia, check into your luxurious accommodations and discover the plethora of onsite amenities available to you during your stay. Overnight Fox Harb’r. Fox Harb’r is a true oasis, with its vast offerings and idyllic coastal scenery. The day is yours to treat yourself to everything the resort has to offer. Pamper yourself in the onsite spa or visit the wellness center. 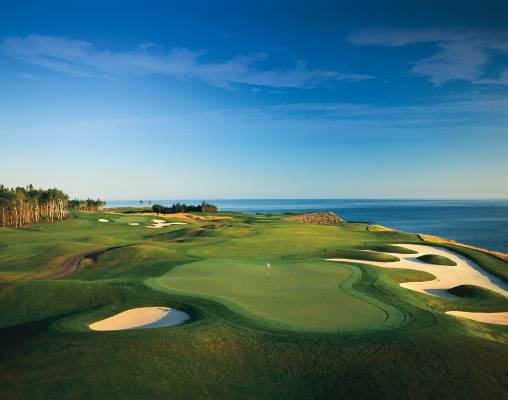 There are two golf courses on the premises: a champion-level course and a par-3 short course. Nature lovers are thrilled by the variety of activities, which range from clay pigeon shooting to horseback riding and mountain biking. If you wish to get out on the water, Fox Harb’r offers fishing and sea kayaking excursions. There is no shortage of opportunities within the resort. Overnight Fox Harb’r. The Bay of Fundy is a must-see while in Nova Scotia. Just a two hour drive from Wallace, this unique area is one of the seven natural wonders of North America, as it boasts the highest tides in the world, fossils and more. During your time at the Bay, look over the waters to try and spot the many species of whales and seabirds that call this region home. There are wonderful hiking trails that look over the water. One of the most unique sites within the Bay of Fundy is the Joggins Fossil Cliffs - a site that has been awarded UNESCO World Heritage designation, thanks to its fossils and aid in understanding Earth’s evolution. 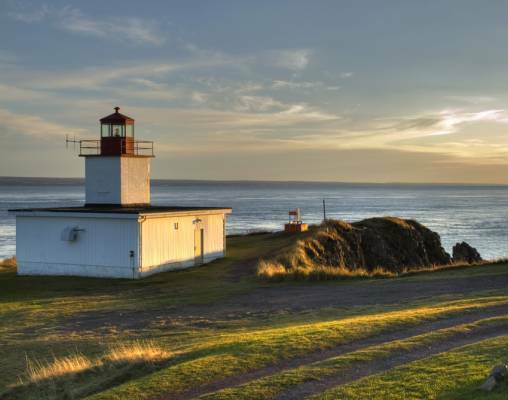 A visit to the cliffs is sure to delight, as will a trip to Cape d’Or Lighthouse which was built in the late 1800s right on the Bay of Fundy. Call ahead to the Lightkeeper’s Kitchen to enjoy a fresh, locally sourced meal at this picture-perfect destination. Overnight Fox Harb’r. Your coastal vacation comes to an end as you make your way to Halifax Stanfield International Airport from Fox Harb’r. Drop off your rental car, and board your plane for your return flight home. Hotel accommodations include Fairmont the Queen Elizabeth Hotel, Montreal, Westin Nova Scotian, Halifax, and Fox Harb'r Resort, Fox Harbour. 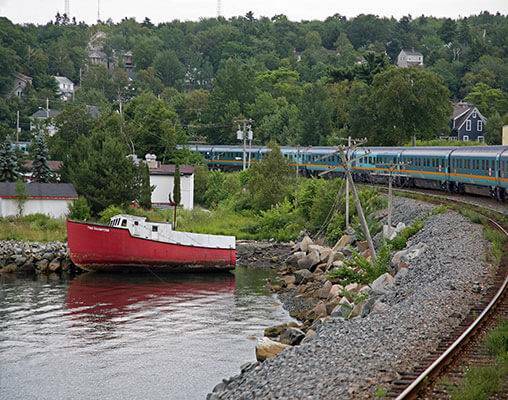 This overnight train offers stunning views of Eastern Canada as it makes the journey from Montreal to Halifax. While aboard the Ocean, enjoy such amenities as fine cuisine in the Dining Car, free Wi-Fi, wine tastings and beautiful views from the domed sightseeing car. Travel aboard the Ocean will be in Cabin for two accommodations. These are private bedrooms and include two folding chairs or a sofa by day that convert to upper and lower berths at nights. An en suite bathroom is included. Shower facilities are located within the rail car. Enter your details below if you would like to be notified when 2021 dates and prices are available for Eastern Canada Coastal Explorer. *Sunday Departures will have a Wine & Cider tour. Tuesday & Thursday departures will have a Wine & Lunch Escape.